Need help navigating the health care exchange? The number of uninsured West Virginians is expected to drop by 70 percent in the next three years. That’s according to numbers from the state Insurance Commissioners Office and presented by West Virginians for Affordable Health Care in the wake of open enrollment under the health care exchange. 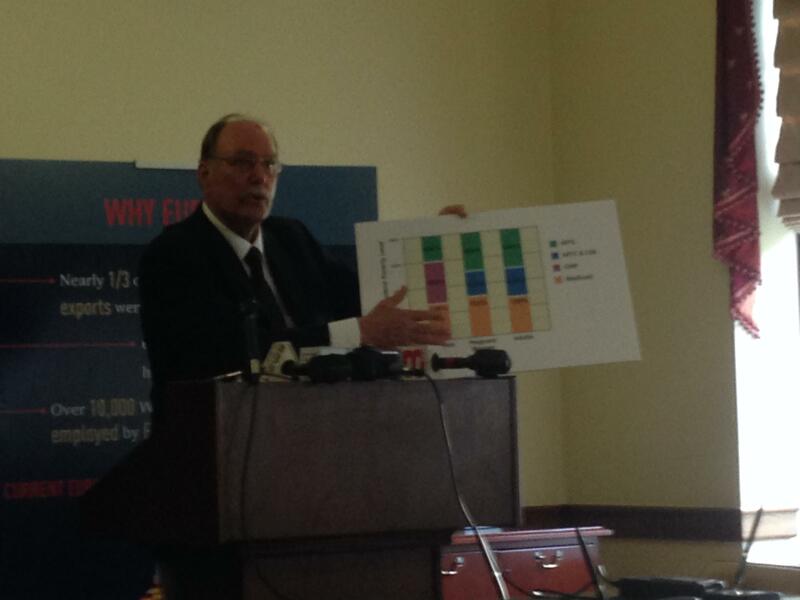 West Virginains for Affordable Health Care Executive Director Perry Bryant holds up a chart showing the number of West Virginians who will be able to enroll for health benefits under the federal ACA. The non-profit group is working with organizations around the state to help West Virginians navigate that new exchange and sign up for insurance. WVAHC Executive Director Perry Bryant said so many Americans have become interested in signing up for coverage through the Affordable Care Act’s central facet that the federal website crashed Tuesday morning and there was a wait time of up to 15 minutes for the federal call center. He said in order to help with the influx, some West Virginia groups have created their own websites to assist consumers looking to buy health insurance or qualifiers sign up for Medicaid in the hopes that they can impact the state’s overall health in the future. “It is a new day. It is a new era and one in which we are going to take a significant step towards providing quality, affordable health care in West Virginia and I’m proud to be a part of that effort,” Perry said during a press conference Tuesday afternoon. To report any possible fraud or scams related to ACA, contact the Consumer Protection Division of the Attorney General's Office at 1-800-363-8808. Health care exchange begins enrollment in W.Va.
West Virginia’s Department of Health and Human Resources has been working for months to organize their federal-state partnered health insurance exchange beginning enrollment on October 1. Likened to the travel website Expedia, the exchange will allow consumers to go online, compare plans from private insurance providers and choose the one that’s best for them, but the site will also determine your eligibility for coverage on state programs like Medicaid. On this WV Morning, welcome to the new Affordable Care reality--Ashton Marra and Beth Vorhees describe what consumers can expect and why. Also, WVU explores new technology for making broadband internet more accessible.